Being known as the Sunshine City didn’t happen by accident. It’s a badge the city wears with pride, averaging 361 days a year of warm, welcoming sunshine. Along with an abundance of sunshine comes sunburns and equally painful summer electricity bills, but there’s also opportunity. Specifically, we can explore rapidly growing clean energy initiatives, especially solar. 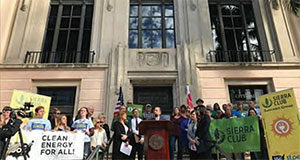 Recently, St. Pete was proud to announce that we’ve joined 19 other cities, stretching from coast to coast, in dedicating ourselves to a goal of “100% clean, renewable energy for all.” Our mayor, Rick Kriseman, issued the following statement regarding the Ready for 100 campaign, “The Integrated Sustainability Action Plan builds on my executive order on sustainability by creating a roadmap to achieve the City’s long-term sustainability goals. 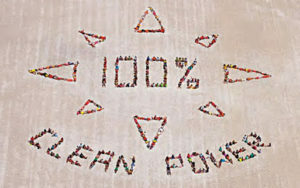 Working toward 100% clean energy and zero waste will help ensure that St. Pete remains a ‘city of opportunity where the sun shines on all who come to live, work and play.’” While the ’burg is the first city in Florida to become part of the Ready for 100 campaign, clean and renewable energy is far from a new concept. A mere 140 years ago, in 1876, it was discovered that when selenium was exposed to light, electricity was produced. And so the journey began toward harnessing the power of the sun. By the mid-1950s, silicon solar cells could produce enough electricity to power small electronics, and in the late 1970s, solar panels for home use were widely available, albeit considered cost prohibitive at over $76 a watt. Fast forward to current costs which are 130 times less expensive at just $0.57 a watt and falling. It’s not only a dedication to adopting solar power to meet the City’s energy needs, but more of an overall commitment to 100% clean renewable energy. If you’re wondering what this entails, it’s simple. Clean, renewable energy involves any energy sources which are not exhaustible, like solar and wind power, but can also include hydro, tidal, and geothermal, as well as energy efficiency. These energy alternatives generate electricity with little or no pollution and don’t contribute to global warming. 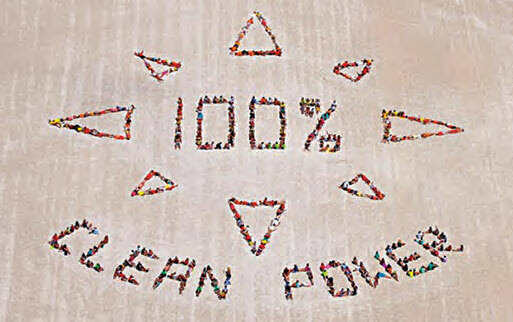 Is ‘100% clean, renewable energy for all’ even a possibility? Absolutely! The proof is in the pudding, if you will. When we look at other countries leading the way in renewable energy production, we see that Sweden is well on its way to being the world’s first 100% renewable country. Costa Rica generates 99% of its electricity needs from renewables, and Germany, a country not known for warm tropical breezes or sunny skies, has already met over 75% of its energy needs via renewables. Looking for some examples closer to home? Burlington VT, Greensburg KS, and Aspen CO all receive their power from renewable sources. Want to know what all 3 have in common other than their commitment to renewable energy production? They don’t see nearly as much sunshine as sunny St. Pete. 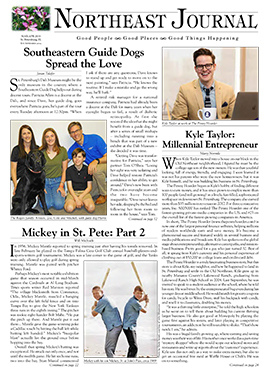 The roadmap is there and with 100% St. Pete, we’ll be able to join this exclusive club. Opponents of renewable energy will argue it’s not cost efficient, that it’s not as reliable as fossil fuels, and that global warming hasn’t been scientifically proven. I would welcome everyone to conduct a little research on their own to find the truth, read about how renewable energy can create jobs, make energy more affordable and limit pollution – then you came make your own decision. Heck, why not just use 100% St. Pete as a perfect test case; it’s in our own backyard and it’s moving full steam ahead. Next time you’re out enjoying a stroll along our beautiful waterfront parks, or catching some rays at one of our world-class beaches, remember that the sun is working, creating energy for all of us to share. St. Pete is on the precipice of something remarkable! To learn more, I welcome you to explore the Suncoast Sierra Club and the 100% St. Pete initiative. Until next time, see you in the sunshine!